I have confirmed that 4-year-old Dead Ringer was euthanized after breaking down at Charles Town Saturday night (race 5). Also, the NYS Gaming Commission has disclosed the training death of 5-year-old It’s All Your Fault at Batavia Downs Sunday. Thank you, Patrick. Although I don’t always comment (many times, I’m simply at a loss for words…how many times can one utter RIP? 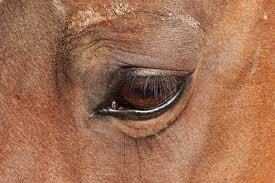 It’s so disheartening…), I read your posts every day without fail and mourn each horse’s death. To Dead Ringer and It’s All Your Fault, your suffering is over. I really want to believe there is an afterlife where both of you are finally free. You didn’t deserve what was done to you in this life. How can you even comment on this? You didn’t know “It’s all your fault”, my husband and I owned her since she was a yearling and she was treated like a queen. We love our horses and care for them like they are part of the family. Just like any family, members have to get up and WORK and earn their keep. Granted not all owners and trainers are straight up kind of people, just like in all segments of society, but I can tell you, we love our horses – they race and help earn me and my husband an honest living. Maybe you should save your ill intended comments and energy on the people in this country that are content to take Obama phones and sit there and expect everyone to hand everything to them as their living. Also have you ever contemplated all of the other people in the horse racing industry that have jobs because of these horses? Vets, trainers, farriers, waitresses, security guards, judges, track maintenance personnel, drivers, owners, grooms, and the list goes on! I am appalled at your comments – you didn’t know this horse and you have no right to comment on her “so called suffering”! I am still heartbroken over the accident that occurred last year with our beautiful mare. But as life goes, accidents happen every day. Next time think about how your cause affects other people. What you owned was no family member; she was a piece of property, a thing, a means to your selfish ends. Go peddle your garbage elsewhere.